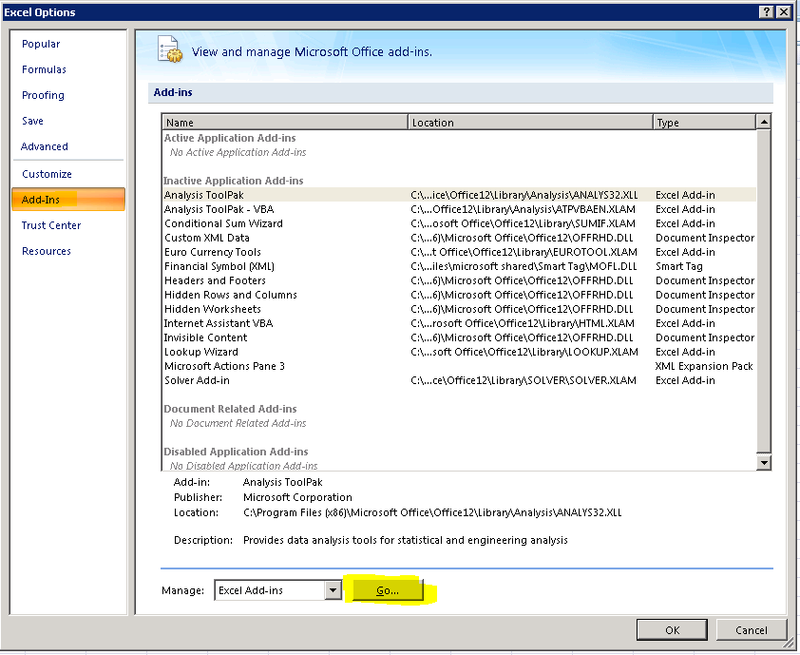 You are unable to access the Sage Excel Integration add-in from Office 2007 when Sage and Excel are installed on a Windows 2008 Terminal Server. The user account that was used to install the applications can access the addin OK. 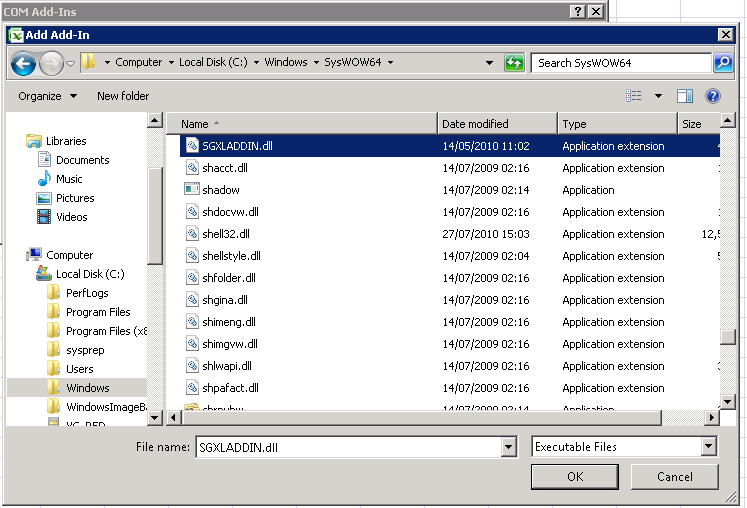 Even though Sage and Excel have been installed correctly on the terminal server the required registry keys are not initialised for other users that log into the system so they dont have access to the add-in. The following has been tested on Windows 2008 R2, Excel 2007 and Sage Accounts 2011. In order to get this working you need to be able to add information to the registry either by entering the keys manually or by creating a .REG file. 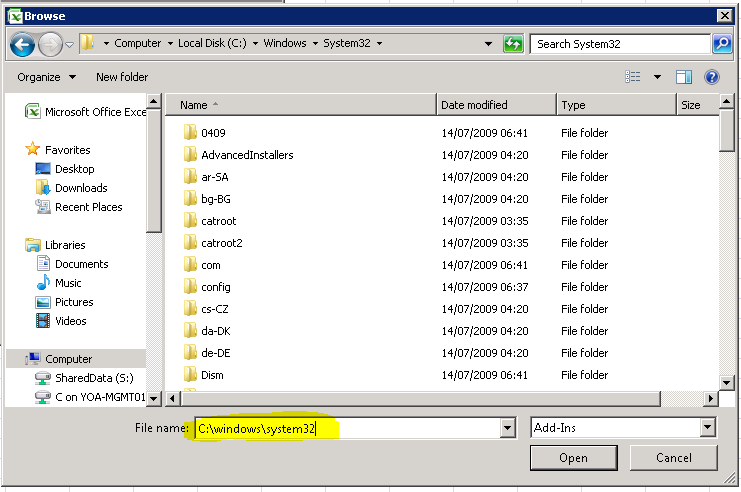 To create the registry file simply copy the text between the ******** at the bottom of this document into notepad and then save the file to your system. Do not include the ******* in the file. 4. 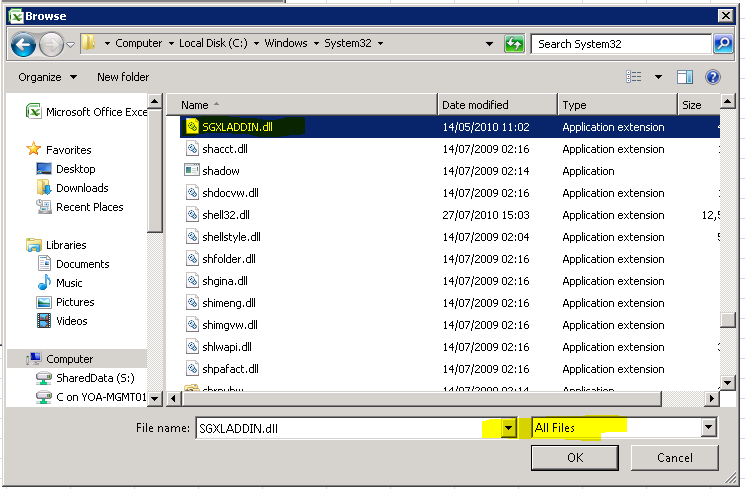 Open Windows Explorer and browse to the folder where you saved the registry file. 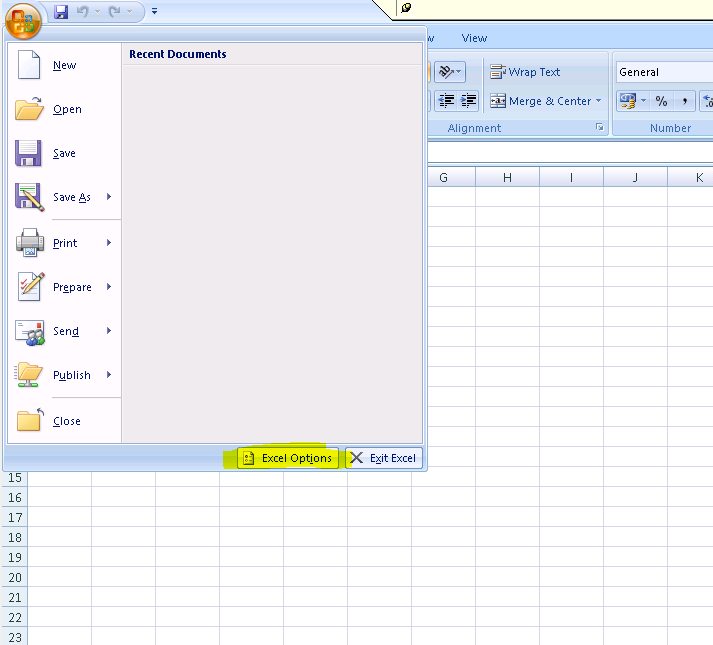 Click OK to return to Excel. The Add-ins tab should be displayed. 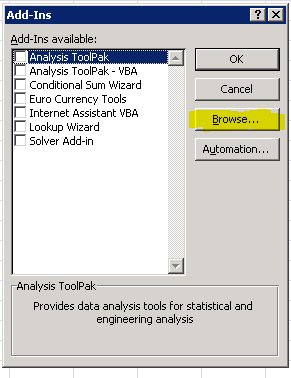 Select the tab to confirm the Sage add in has loaded. 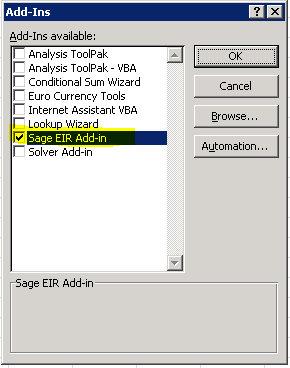 Repeat this process for each user who needs to access the Sage Excel Integration add-in. These are the keys extracted from HKCU. 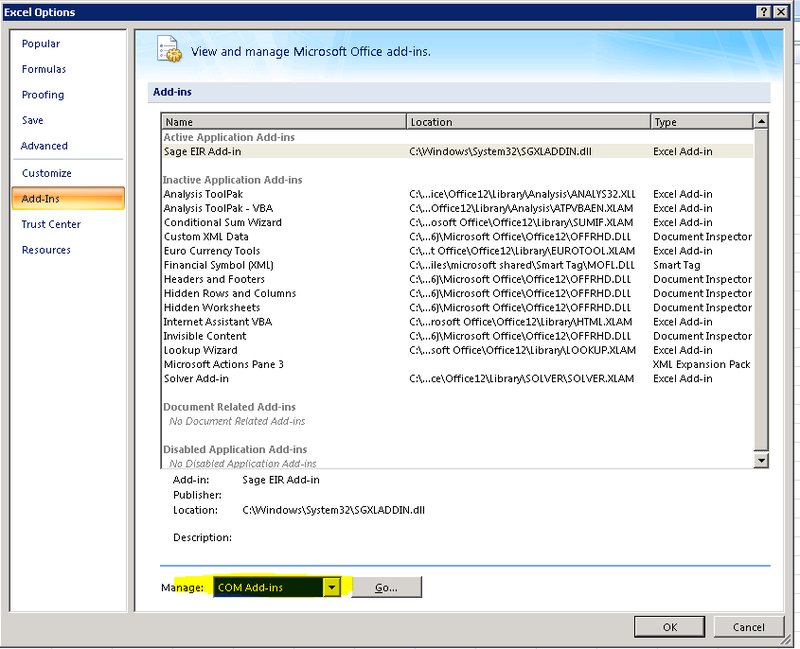 Copy everything between the ********* into a .REG file then double click the file.